As presenter of the Burton European Open and the Burton US Open, the MINI Space Team has taken the opportunity to challenge snowboard journalists to capture the creativity of the sport in no other way than a MINI Space competition. Contenders are challenged to creatively cover the events of the Burton US Open in Vail Colorado during the next week. The winner of the MINI Media Award will be voted by MINI Space visitors. Votes will be casted from March 13, 2013 to March 27, 2013. The kicker – even the votes will be entered into a competition. Creatively comment to reinforce your vote and to demonstrate your support for your favorite article and the sport of snowboarding. The producers of the three most creative comments will receive a limited edition Burton snowboard. And, by limited edition, we mean limited edition. These Burton snowboards have been custom-designed by snowboard photographer Tobias “Ludschi” Ludescher and off-piste pro rider Lukas Goller, also known as Lu&Lu. Lu&Lu of the PirateArtCrew met in 2004 and have been creating masterpieces on all types of mediums from canvas to cars ever since. Lu&Lu spent three days in a glass pod customizing a MINI Countryman to reflect the spirit of the Burton European Open scene in Laax Switzerland. Featuring the old man of the mountain on its hood and a mountain panorama, Lu&Lu titled the MINI Countryman RE: LAAX. The work of the alpine artists, as they call themselves, leaked onto three Burton snowboards that you could potentially call your own. Local Pennsylvania dealership, MINI of Pittsburgh, is excited to witness the creativity inspired by the MINI-sponsored Burton US Open. With a funky exterior and nimble handling, it’s easy to see why the 2012 MINI Cooper Coupe made Kelley Blue Book’s like of the Top 10 Head Turners of 2012. The 2012 MINI Cooper Coupe is now available at MINI of Pittsburgh. 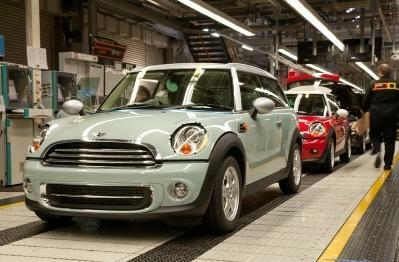 The MINI Cooper Coupe was all-new for the 2012 model year. This two-door two-passenger coupe offers the driving dynamics that are uniquely MINI with a smaller, sportier feel. The 2012 MINI Cooper Coupe is available in three trim levels: Base, S, and John Cooper Works. The Base Coupe features a 4-cylinder engine with 121-hp@6000 RPM. The Base trim gets exceptional fuel economy with estimated rating of 29 city/37 highway MPG. Standard equipment includes a trip computer, adjustable steering wheel with mounted controls, keyless start, intermittent wipers, and cruise control. In addition, HD radio, auxiliary audio input, and MP3 player come ready to use. The S Coupe delivers a little more jolt under the hood with a 4-cylinder, 181-hp@5500 RPM engine. The S Coupe boasts fog lamps, leather wrapped steering wheel, keyless entry, power steering, front floor mats, and vehicle anti-theft system. The John Cooper Works Coupe provides the most powerful engine on the 2012 Cooper Coupe with a 4-cylinder 208-hp@6000 RPM engine. Leather seats, HD radio, keyless start, power driver mirror, and a rear spoiler are just a few of the standard features on the most luxurious trim of the Cooper Coupe lineup. The eye-catching exterior of the MINI Cooper Coupe is what really sets it apart from any other vehicle on the road today. The integral roof spoiler and wing that deploy from its trunk lid convey a very futuristic style. The unique ‘helmet’ roof and hatch-style decklid create a compact feel with an aggressive appearance. The 2012 MINI Cooper Coupe is now available at MINI of Pittsburgh. Stop by and see us today or visit http://www.miniofpittsburgh.com/ to view our inventory. MINI of Pittsburgh loves its customers and that shows through the whole company. 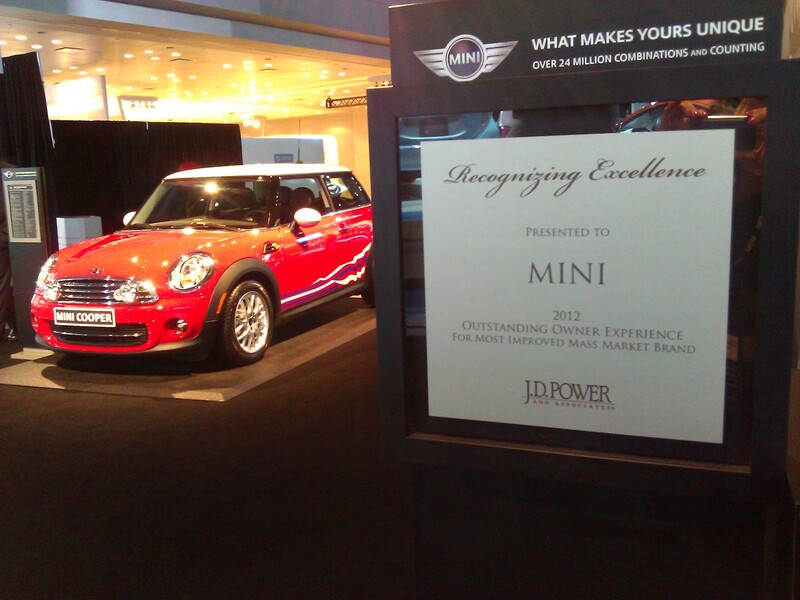 MINI was recently honored by J.D. Power & Associates for their improvement in providing outstanding customer experience. MINI was honored for having the largest improvement amongst the mass market brands during the past three years. J.D. Power & Associates were impressed with MINI’s ability to consistently improve upon their quality, dependability, and appeal of MINI vehicles. The honor was given to MINI at the opening ceremonies of the 2012 New York International Auto Show this week. The ability for a car to hold value should be a crucial factor when buying a new car. Sometimes as buyers, we focus more on the bottom line and financing rates to get the best deal rather than looking at the long-term effects with depreciation. Buying Car A vs. Car B may seem like an easy decision from an initial bottom line perspective, but what about overall through the lives of the vehicles? The originally higher-priced vehicle still can save you a lot more in the long run. Cars.com realizes the importance of resale value and did plenty of research to come up with their Top Ten List of Best Overcall Car Resale Values for 2011 models. The residual values were the percentage based off of the price that manufacturers suggest for retail pricing for the new vehicles. Higher residual values will allow you to repay less in leasing a car so you can receive lower monthly payments. If buying a car, it will help holding value for you to sell or trade in at a higher amount. Buy or lease, a vehicle’s resale value should always be considered and evaluated before making a decision.